London has been destroyed in a blitz of bombs and disease. The only ones who have survived are children, among them Gwen Darling and her siblings, Joanna and Mikey. They spend their nights scavenging and their days avoiding the ruthless Marauders—the German Army led by Captain Hanz Otto Oswald Kretschmer. 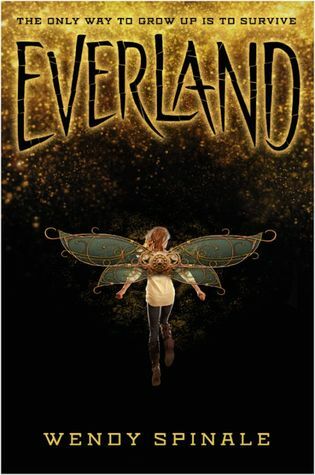 Everland has everything you love about Peter Pan but reimagined to include a dark, steampunk, dystopian-like world. My heart is absolutely soaring after reading this book, and I love all of the new twists that were added to the story. Though I haven't read the original Peter Pan novel (and shame on me for that) but I think that J.M. Barrie would be proud of this retelling. 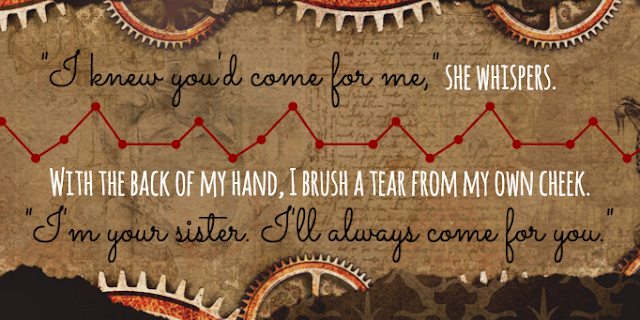 It even incorporates some of the original lines from Peter Pan, which just makes me extremely giddy. I had so much fun reading Everland, that I wish that I could read it again for the first time. Everland is definitely one of my favorite retellings and by far one of the best steampunk novels I've ever read! 1) If you were a kid like me who knew that Peter and Wendy were an item, then you need this book! It is the relationship confirmation we've all been dying for! I adore their chemistry, and how they bring the best out in each other. It was great, I love them! 2) I love how this is a fantasy turned steampunk. Wendy Spinale (and I can't get over how wonderfully fitting her name is for someone who wrote a Peter Pan retelling) has worked out all of the magical elements and somehow recreated and incorporated some awesome scientific elements—right down to the pixie dust! 3) The dual POVs from Gwen and Hook's perspectives are really great. You get to see how the heroine and villain's stories come together and it's incredibly well-executed. 4) I really like how Hook has a tragic backstory, but really, he is still a villain. I hate romanticized villains—the ones that do horrible things, but have a sad backstory that excuses every awful thing that they do, and that's not the case here. 5) Spinale really showcases many different types of familial relationships—both blood related and not. I love it when books have families that are created by choice, and not just because the characters are blood-related, and you get to see a lot of that in Everland. 1) I originally wasn't sure how I felt about the beginning of the book. There is a lot of information to take in at once, and it was a little overwhelming. However, in the end, it was definitely necessary for the world building. "Pete?" I say, my voice crackling. "Please don't die." Pete gives me a dazzling smile and bows. "To die will be an awfully big adventure." He blows me a kiss and pulls the heavy door shut with a metallic clank, leaving me alone in the dark. Pickpocket clears his throat, reminding me of the audience around me, and I feel heat crawl up my neck, face, and ears. Mortified, I berate myself. I've been brave in the face of danger, dodged bombs and bullets, eluded soldiers, fought others for supplies, but a shirtless boy makes my legs feel weak. Gaaaaah. GAHHHHH! I so need this book. I've needed this book since finding out it was being published this year. I NEED this book--your review only emphasized and made that need about a million times greater. Thank you so so much for sharing, and for such an awesome review! I can't wait to get my hands on this read! I'm so glad that you love my review. Everland is absolutely amazing and I hope that you love it as much as I do! OMG.. I just finished the book. It hurt my heart to finish it. I don't want this to end! I just figured all the characters out, and I remember how Wendy leaned in for a kiss in the movie, but Tinkerbell pulls her away by her ponytail. If you read the book, you would realize what Bella did when they were hugging. In the 2003 Neverland Movie, Tinkerbell is Banished and there is a quote that says "one girl is worth twenty boys"
"to live would be an awful big adventure"
I loved your review! I keep seeing such awesome reviews for this book...I can't wait to read it! Thank you, I'm glad you enjoyed it ^_^ Definitely make sure that this book is on your TBR, you won't regret it! Oh my word! I'm even more excited for this book now after this review! Everything you said made it sound twice as awesome! So glad it comes out soon! YAY! 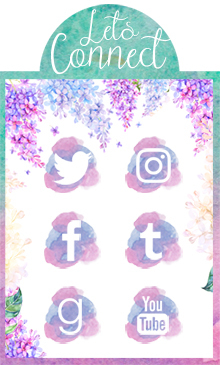 That is what I go for when it comes to my 4+ reviews ^__^ I think you'll love this one! Wow! I'm overwhelmed by how great this review is. I'm thrilled you liked EVERLAND. I'm diligently working on book two. I can't wait to introduce a new cast of characters to our Peter Pan steampunk world. Can't wait to share more. I hope you enjoy Everland!